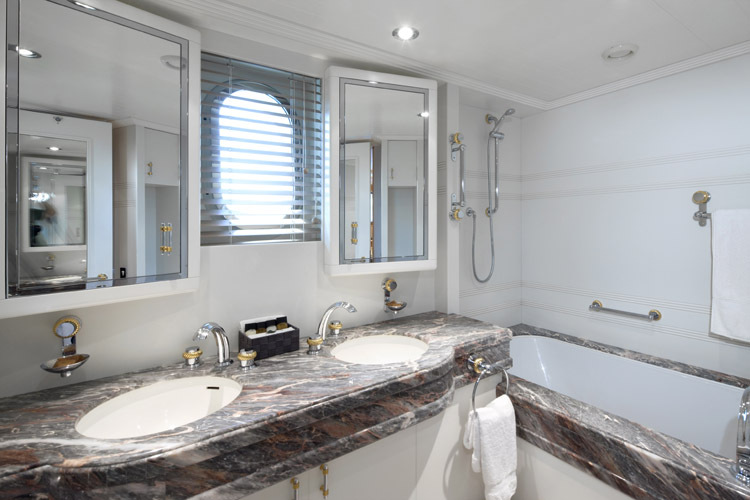 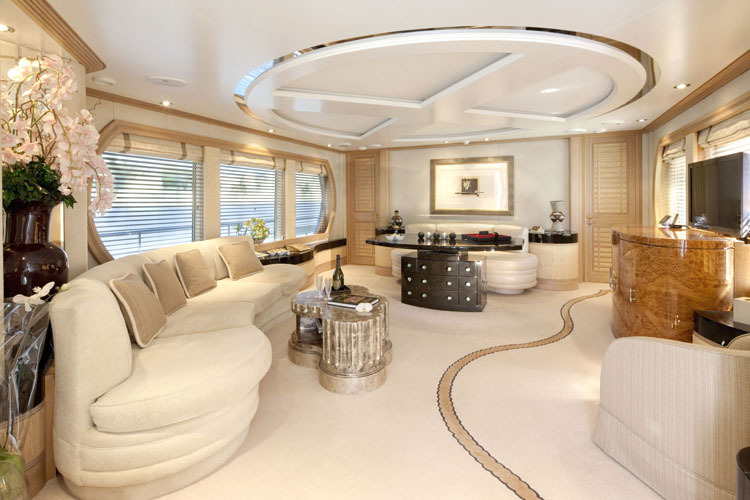 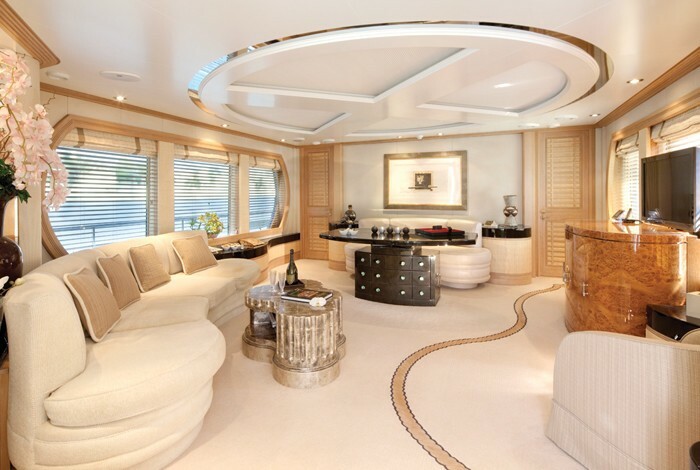 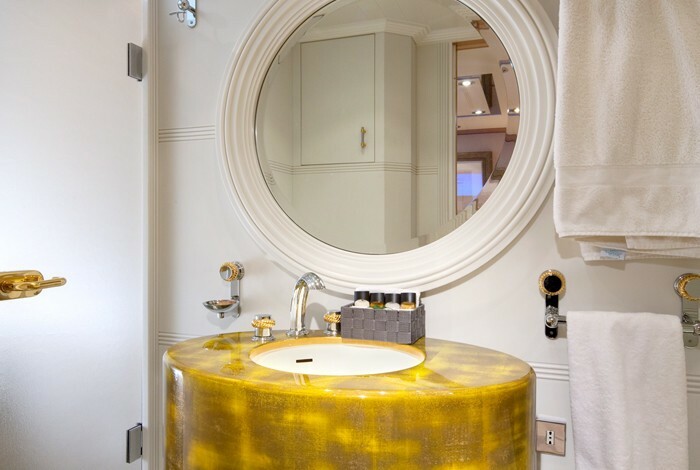 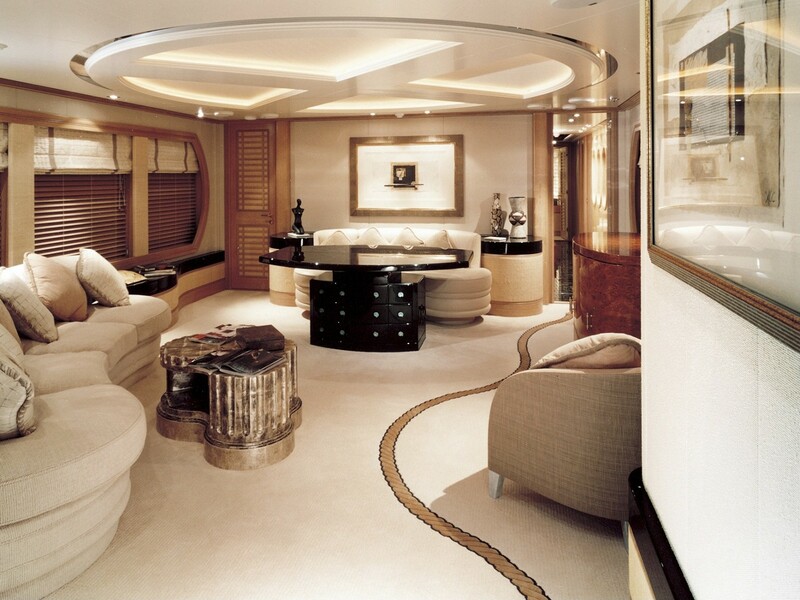 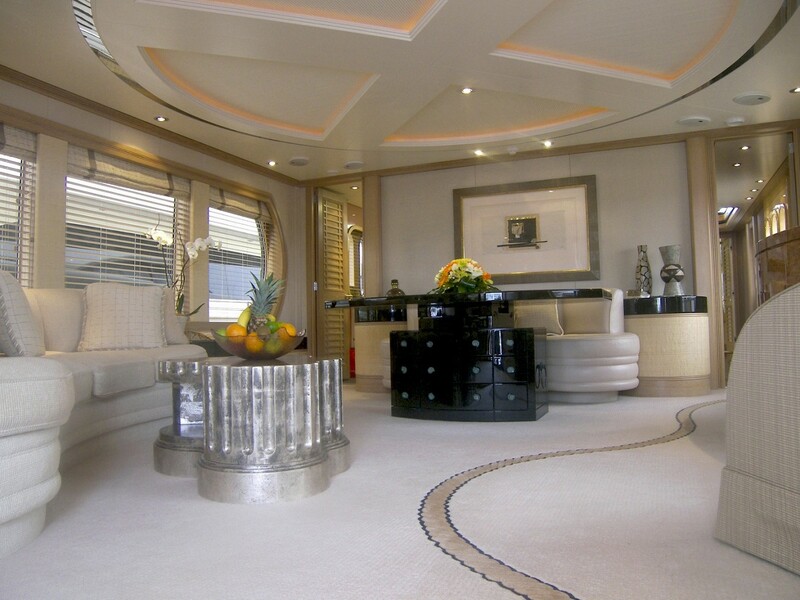 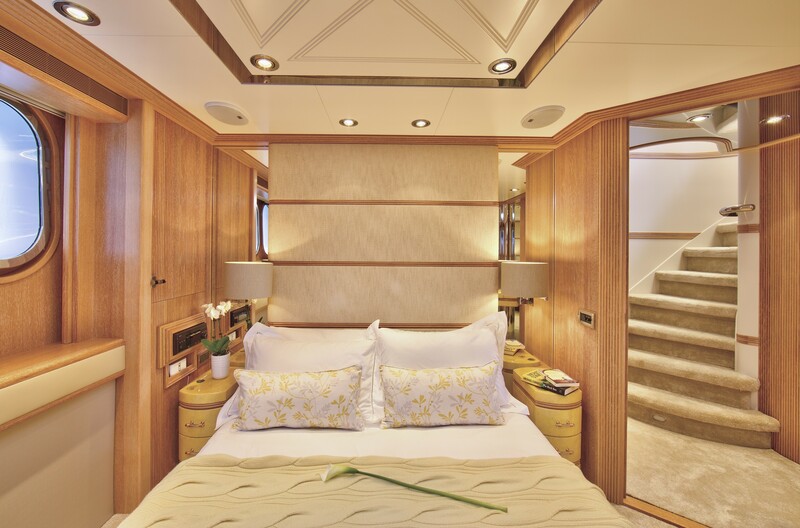 M/Y La Mascarade was designed by Terence Disdale, using an eclectic mix of surfaces, materials and textures including silver leaf, apricot silk, gloss lacquer, soft shades of fawn and taupe, light oak and pale wool carpets. 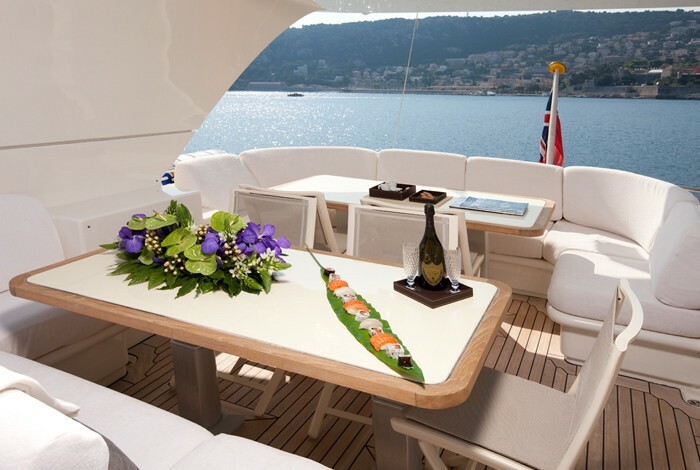 The beautiful asymmetric saloon has a separate dining area, both having large windows and whitewashed oak to create the overall feeling of light and space. 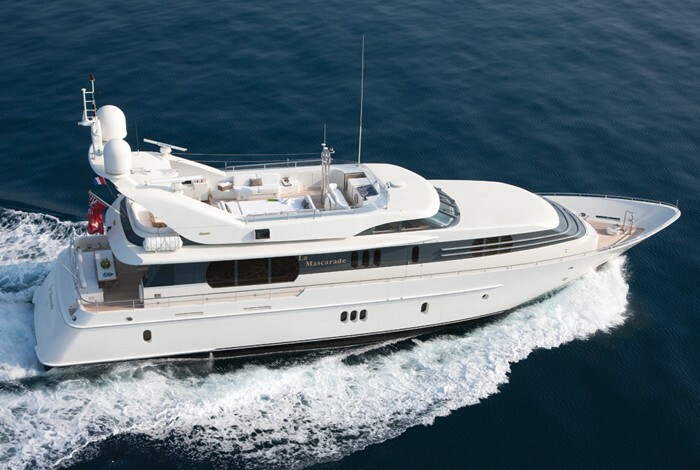 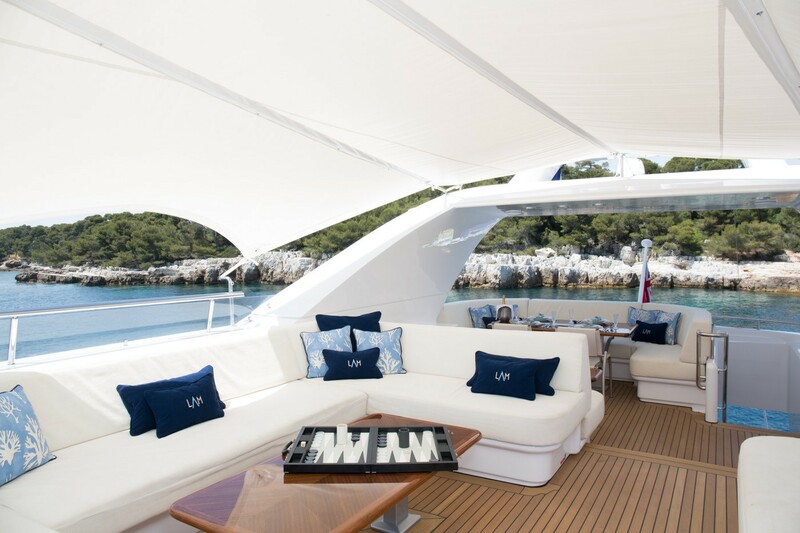 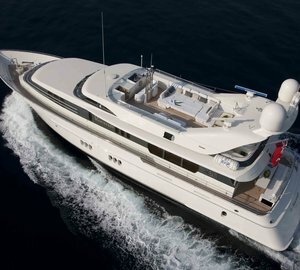 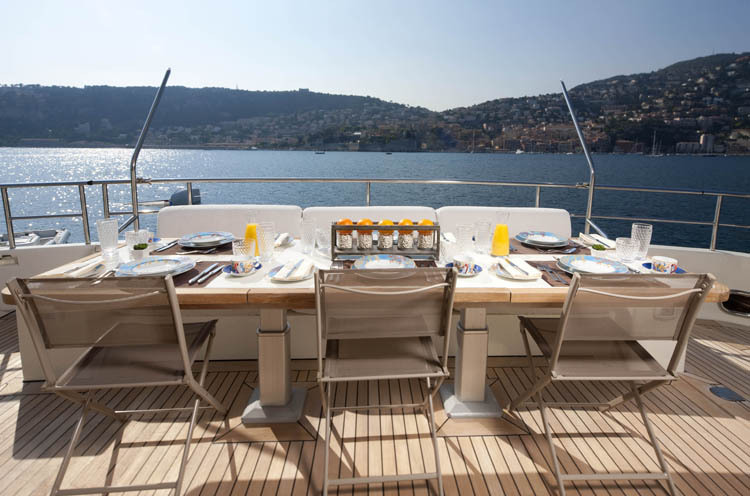 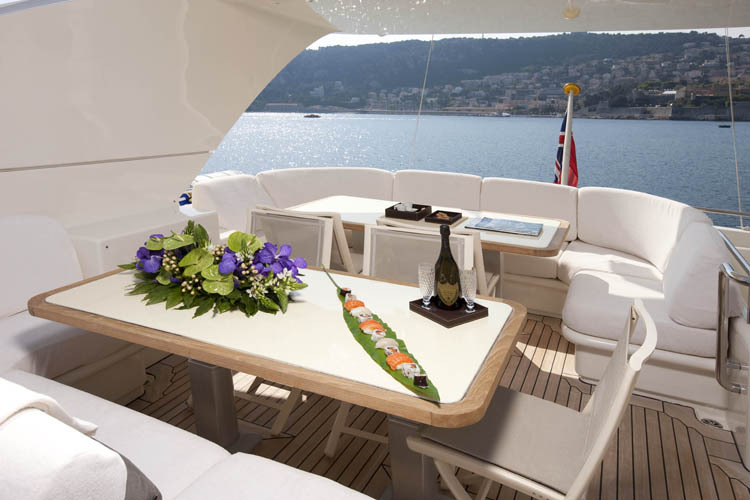 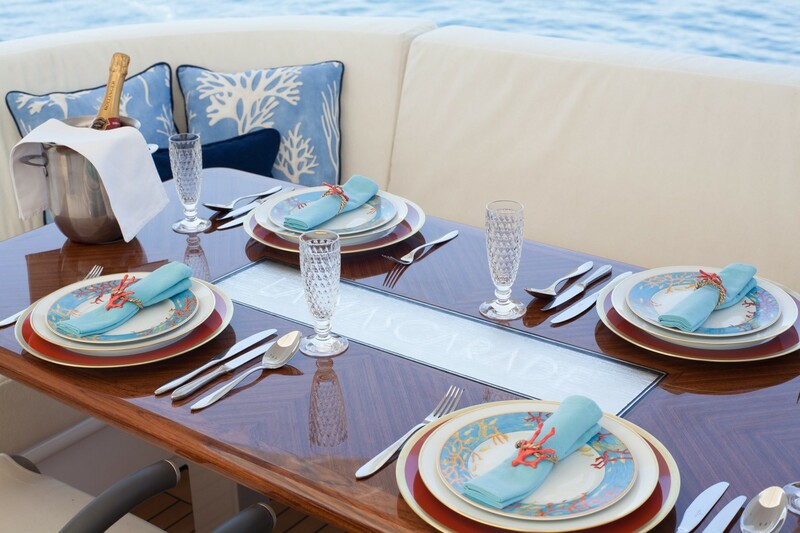 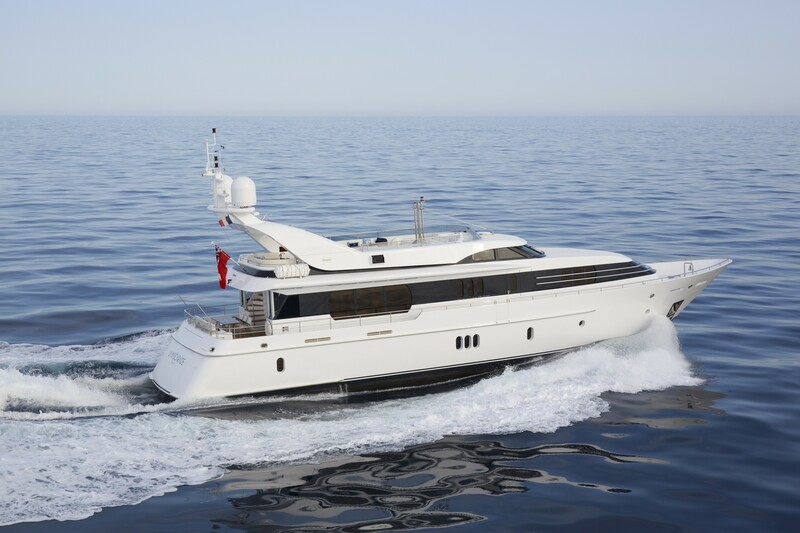 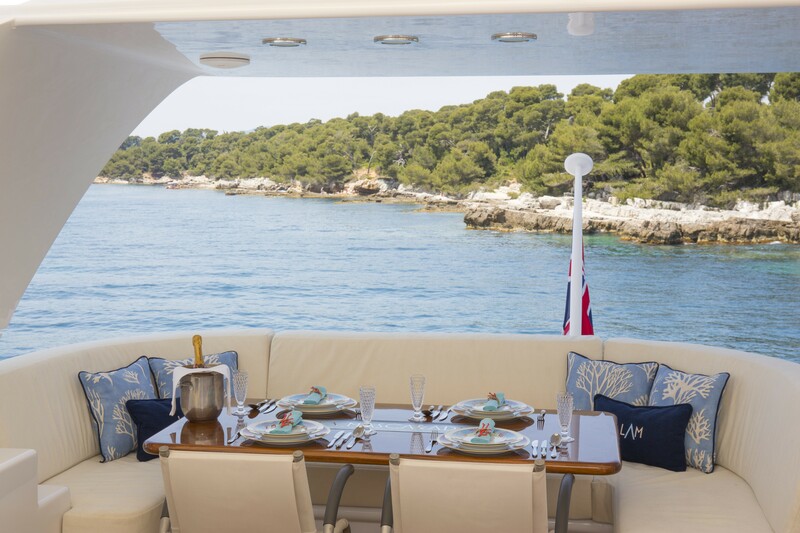 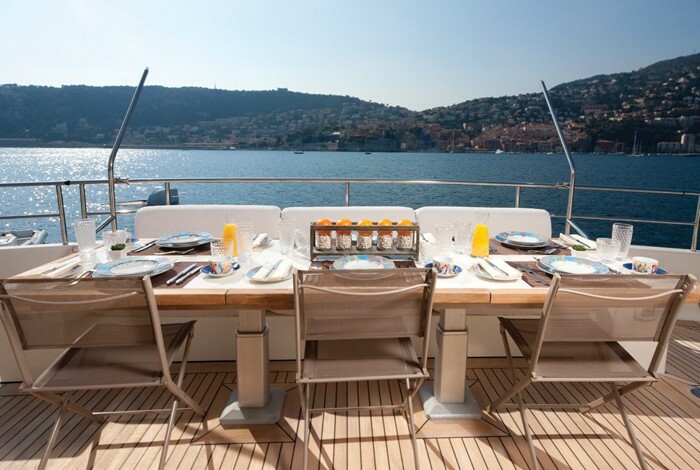 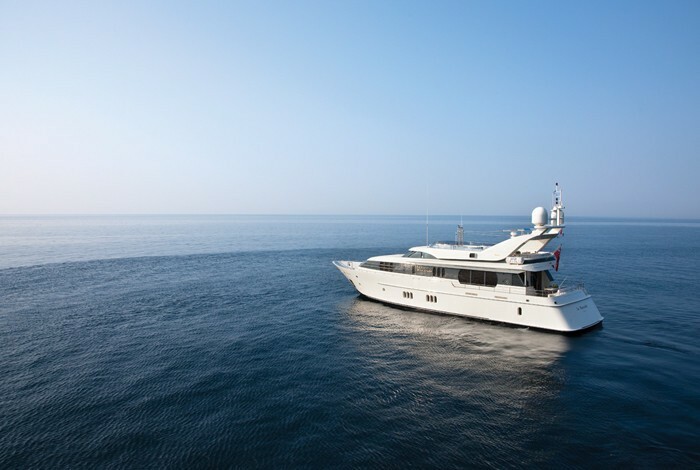 Charter yacht La Mascarade also offers good exterior deck space, with the fly bridge and sundeck able to seat 12 guests at two aft dining tables. 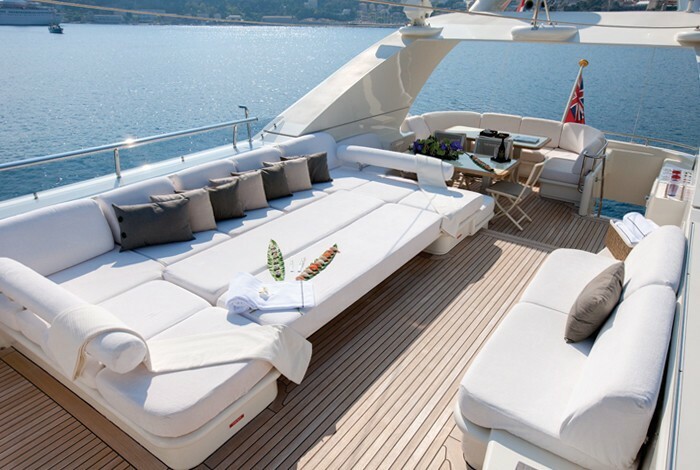 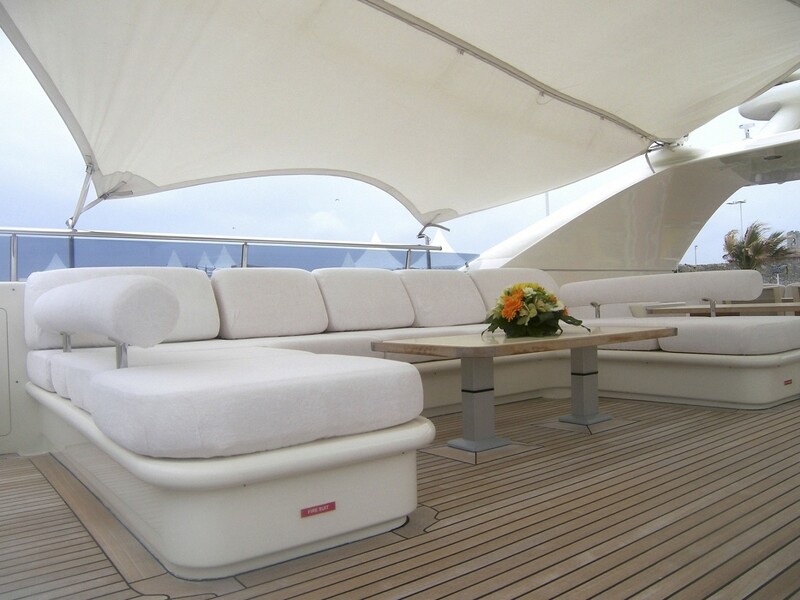 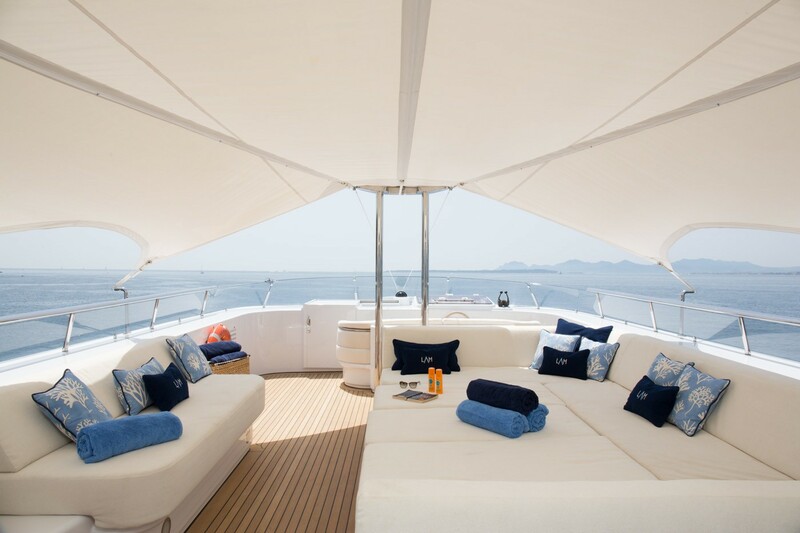 The large sofa areas can be converted into sun beds and can be covered by a removable awning for shade. 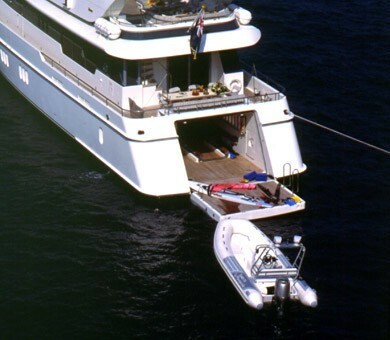 The swim platform gives you direct access to the water, so you can board the tender easily, or jump into the water to enjoy the many water toys offered. 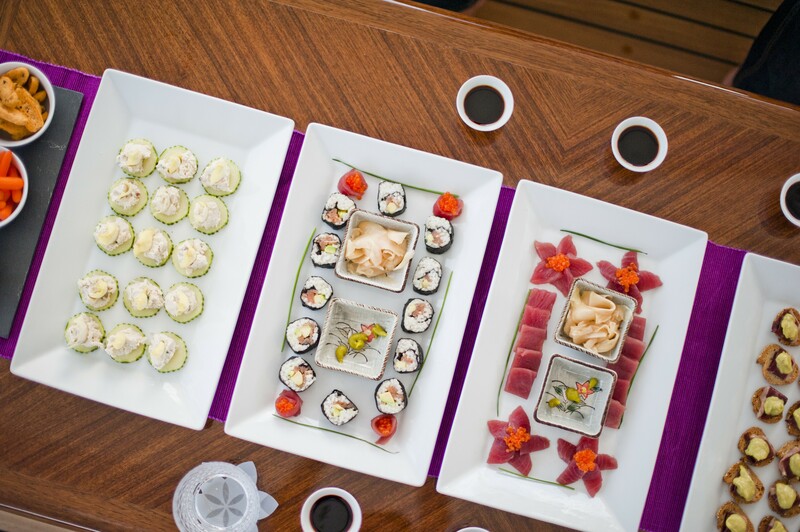 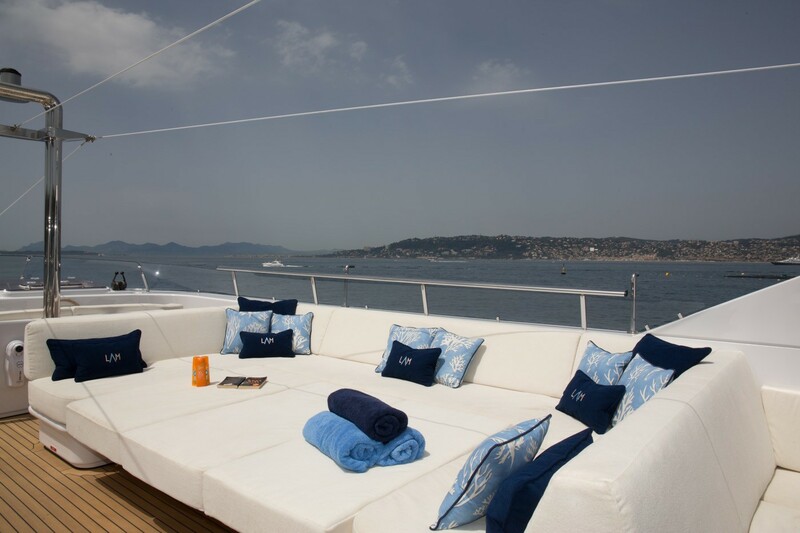 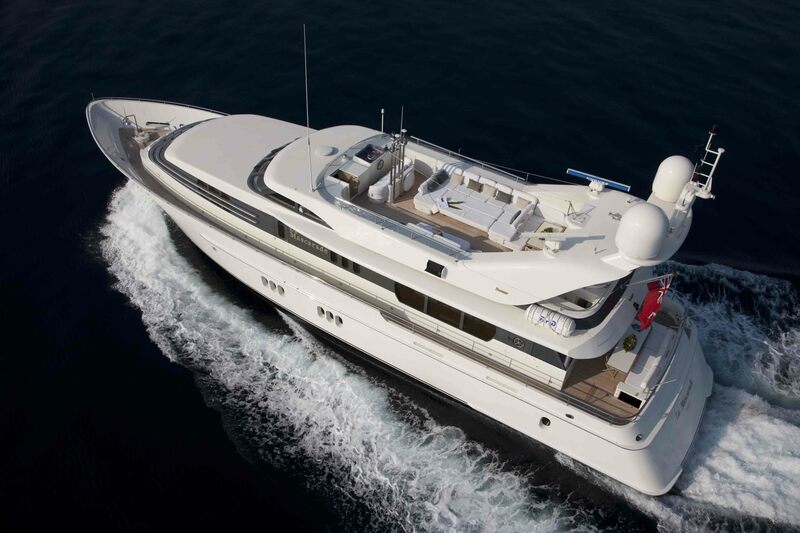 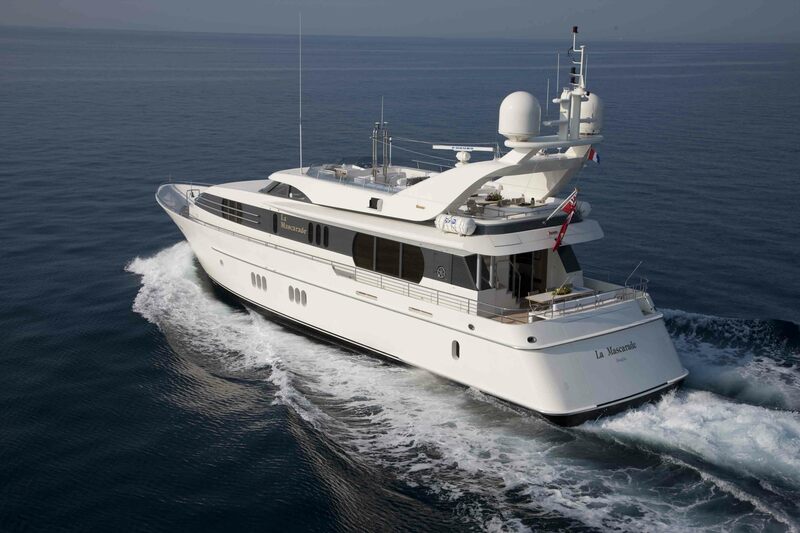 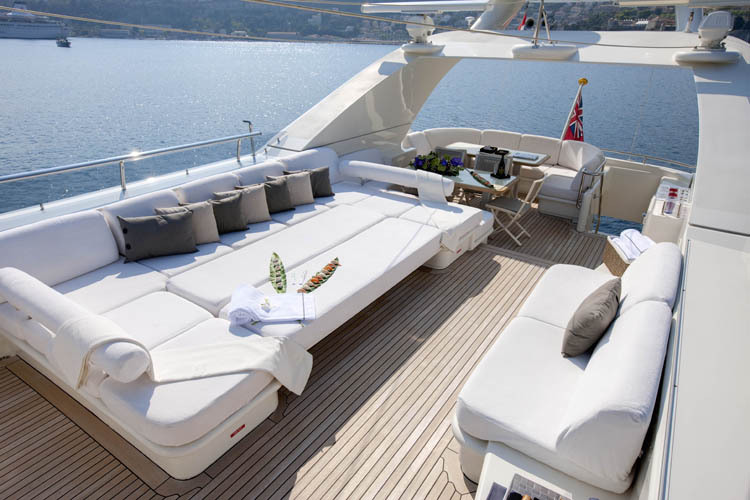 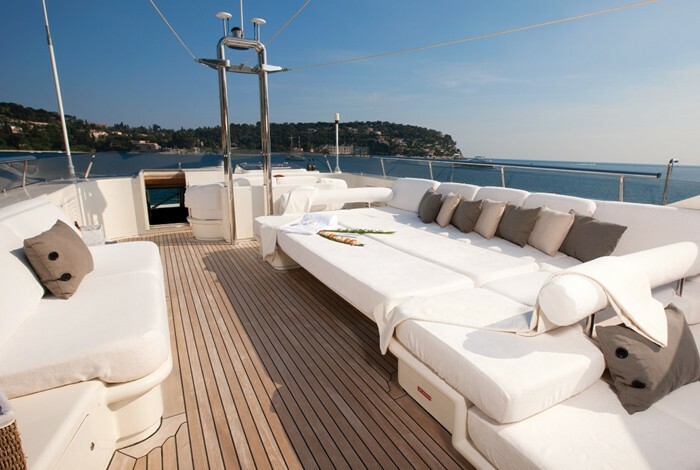 The La Mascarade charter yacht offers WiFi / Internet, TV, DVD and CD Library. 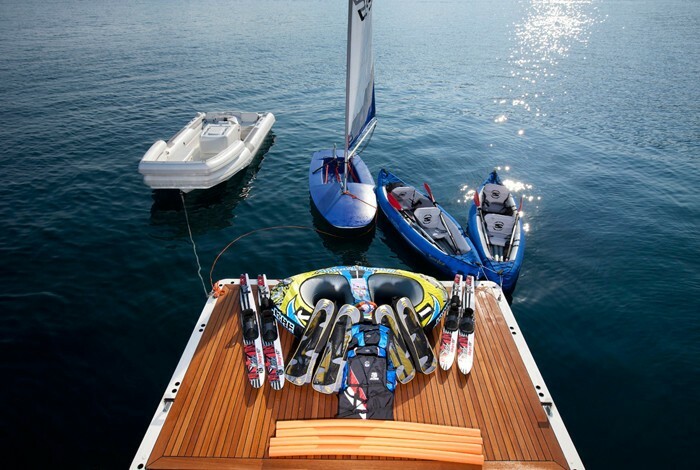 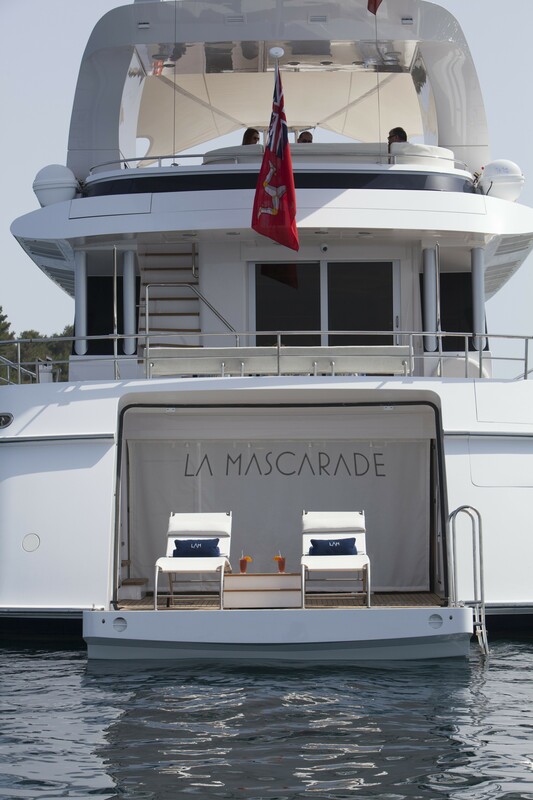 The luxury yacht La Mascarade also offers a fabulous selection of water sports, including a 4.5m tender, 2 Sevylor 2 man Inflatable Kayaks, 2 sets of fins and masks, Water-skis (adult and children), 4 Noodles, 2 Towable Doughnuts, 2 Seablades, 2 Aquaglides and Fishing Gear. 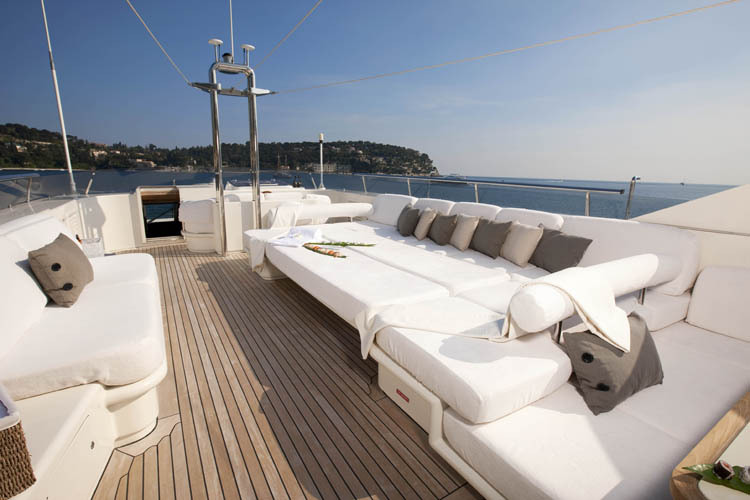 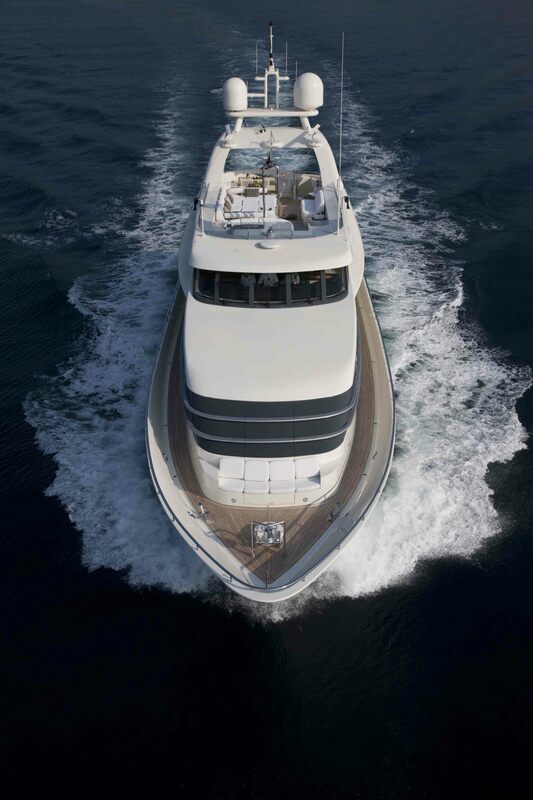 Yacht La Mascarade is 30m (98.4 ft) in length, with a beam of 7.1m (23.3 ft) and a draft of 2.05m (6.7 ft). 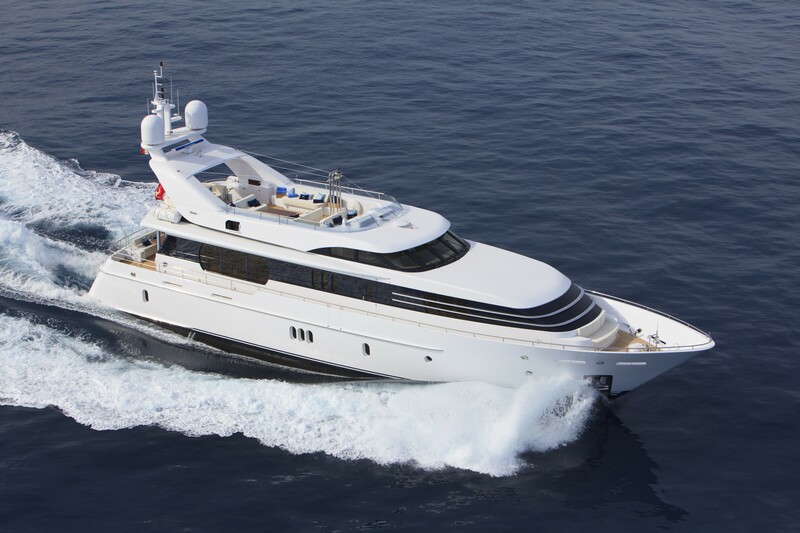 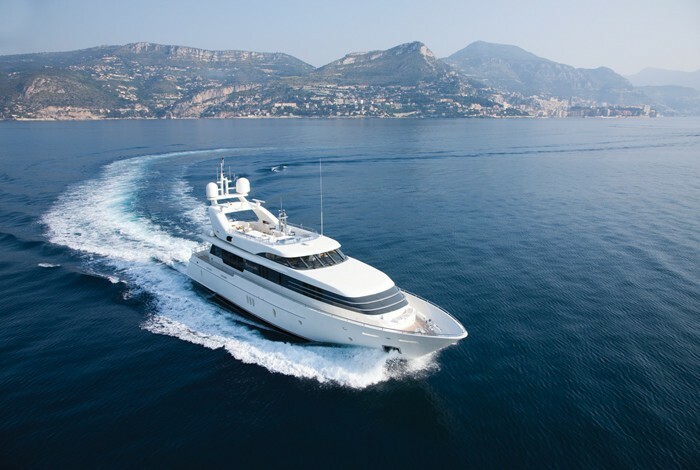 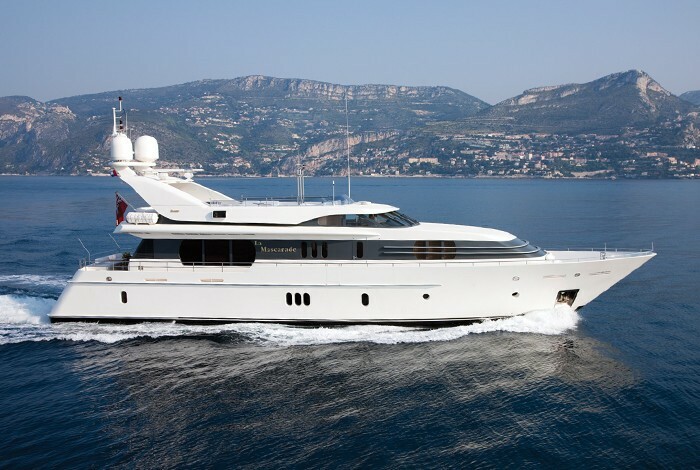 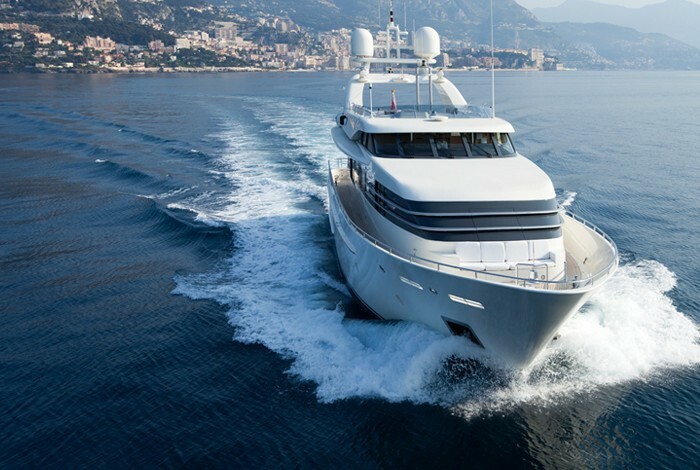 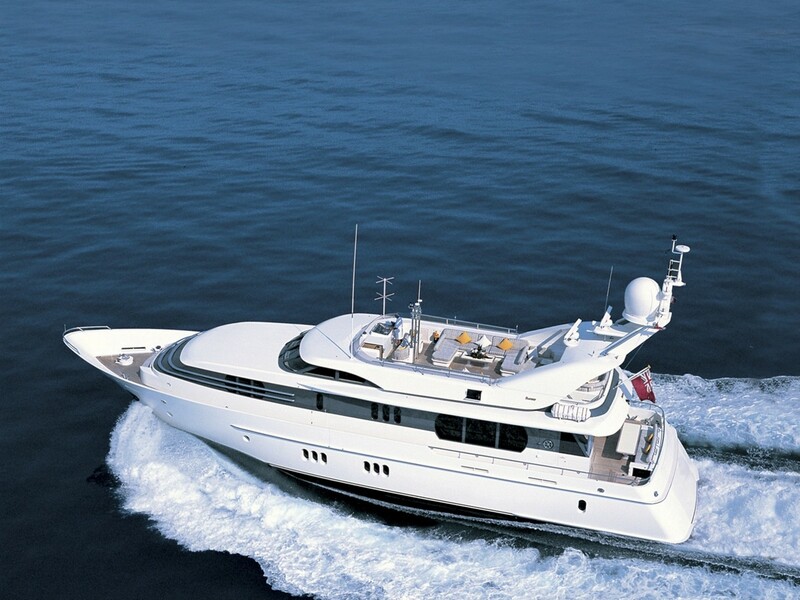 M/Y La Mascarade cruises at an average speed of 14 knots, and can reach a maximum speed of 19 knots. 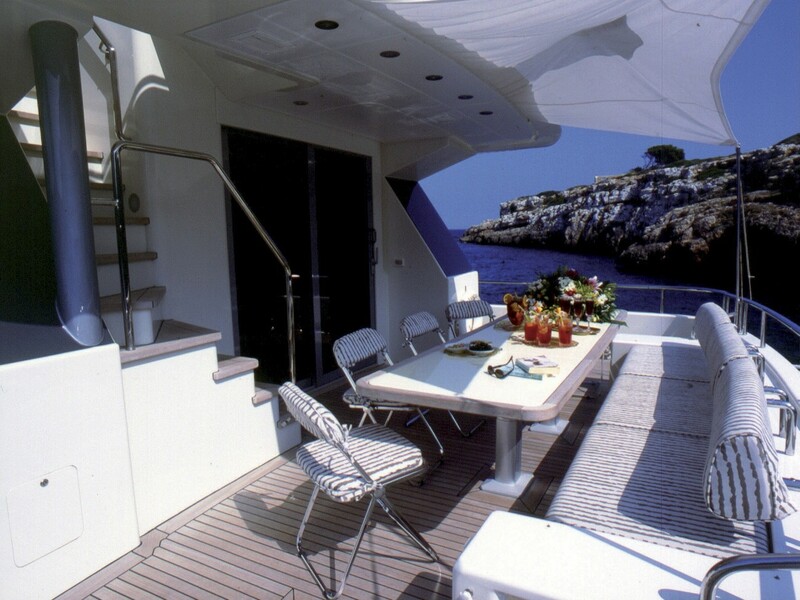 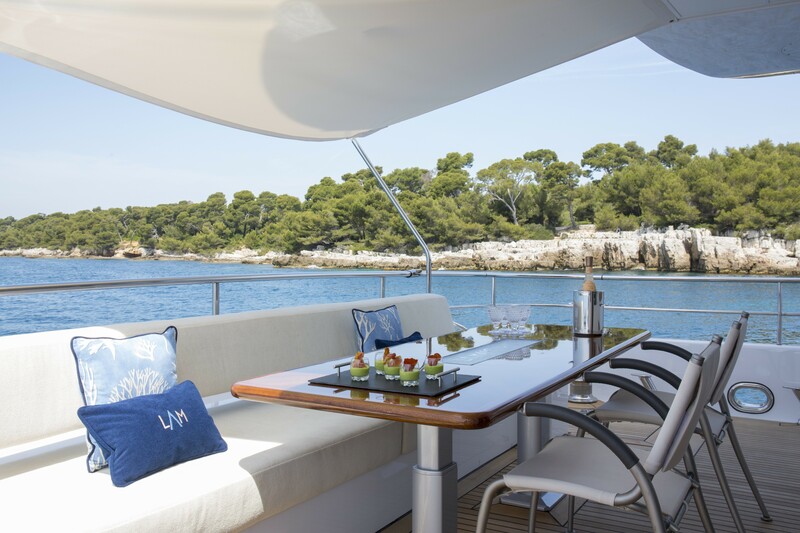 Yacht La Mascarade (ex La Masquerade) is able to accommodate up to 8 guests in 4 cabins. 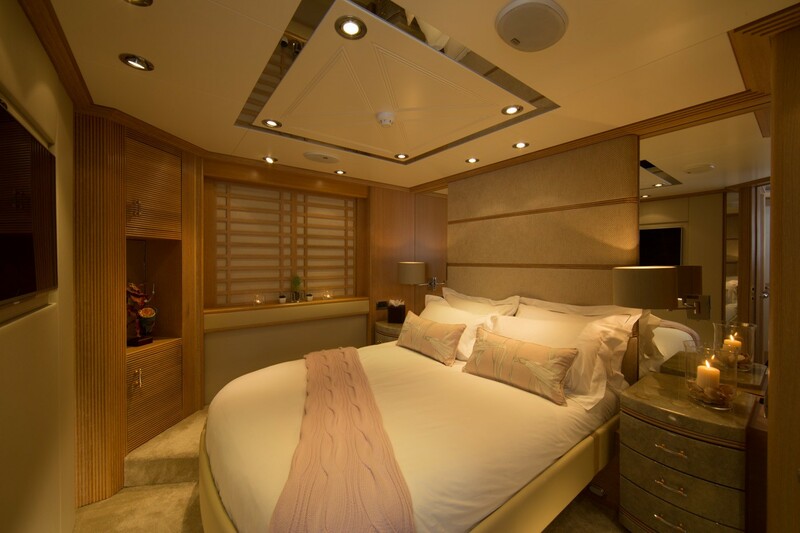 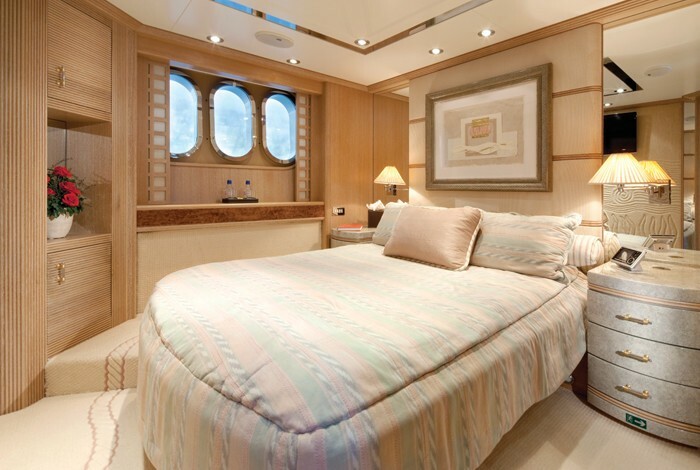 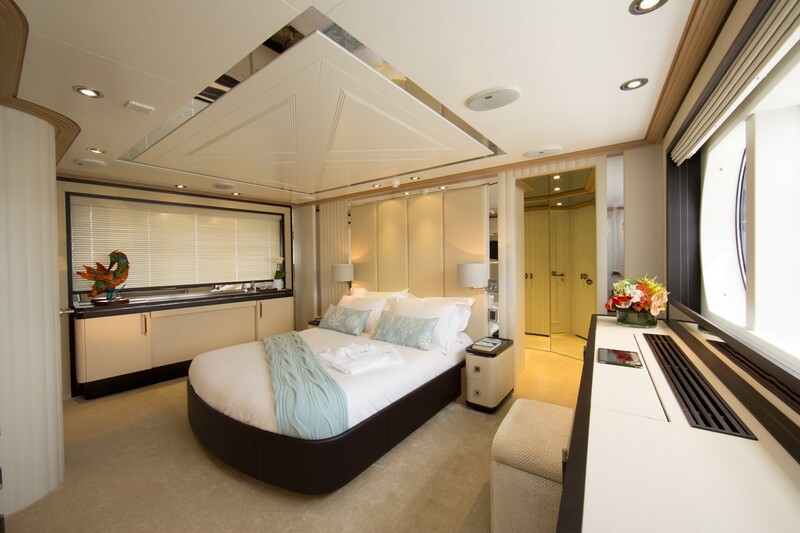 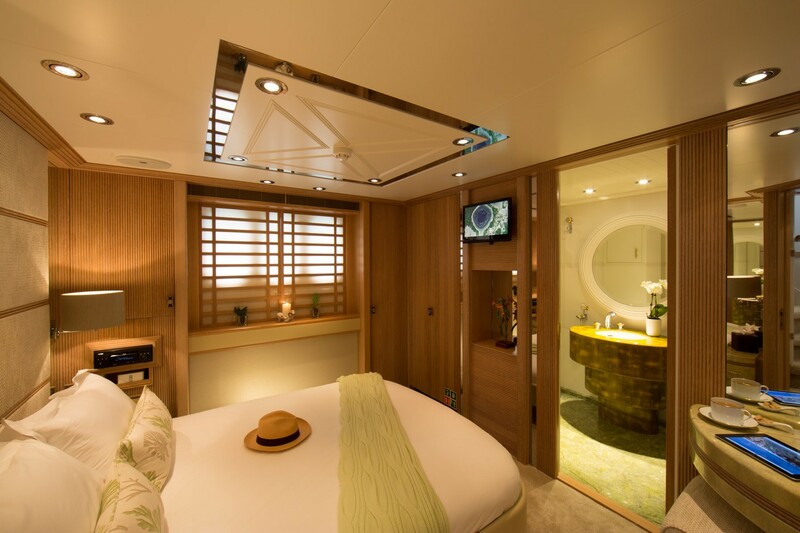 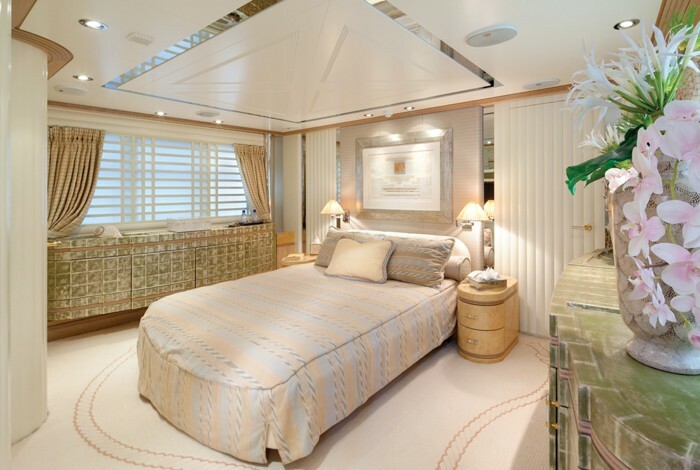 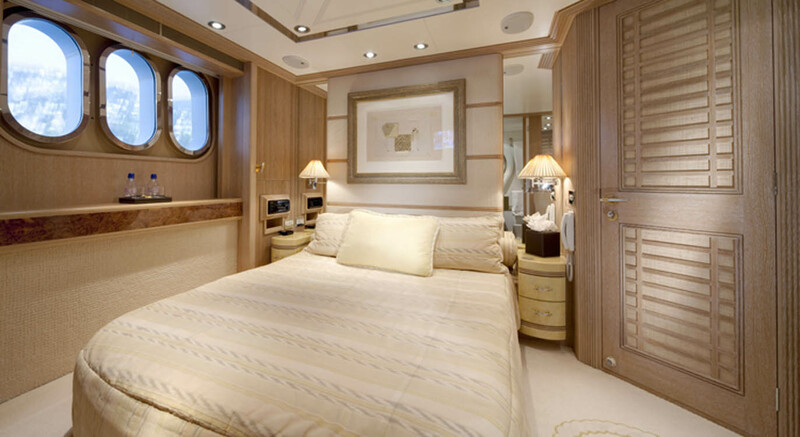 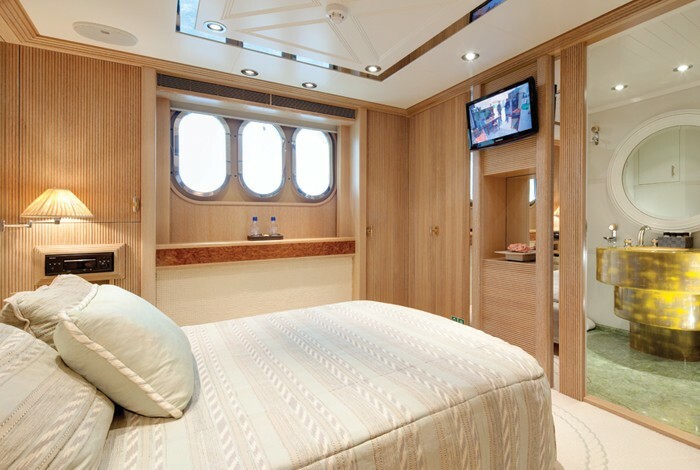 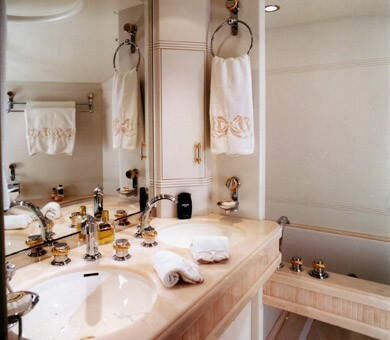 Her Master Cabin is on main deck with queen bed, ensuite facilities including a spa pool bath, shower and double basins. 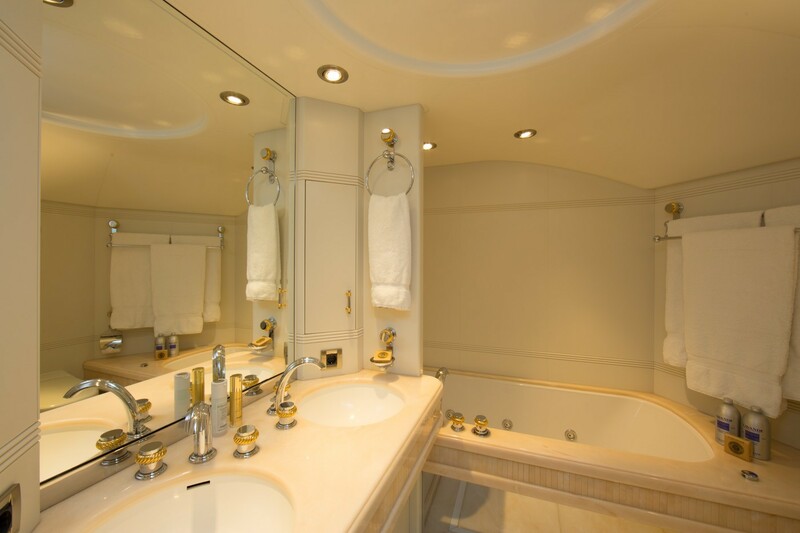 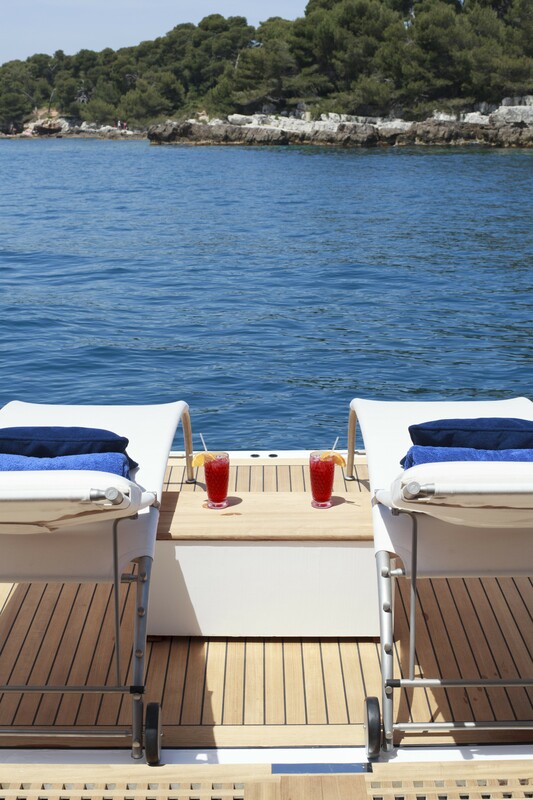 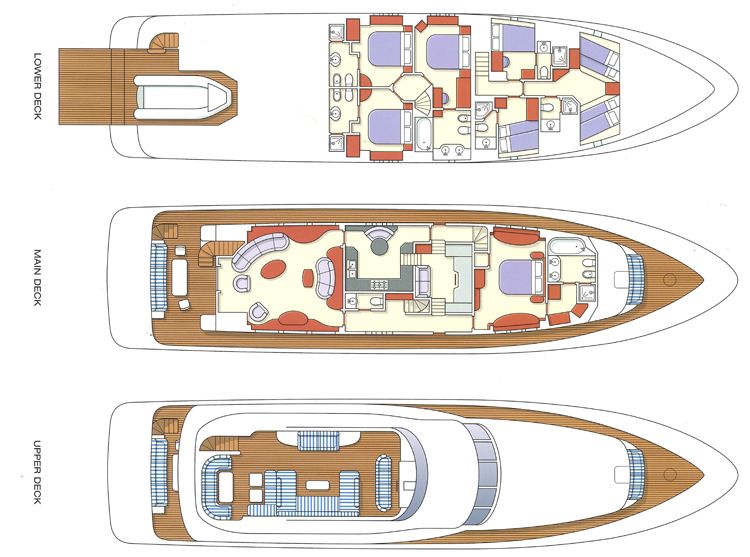 The full beam VIP double cabin is located on lower deck with ensuite facilities including bath and double basins. 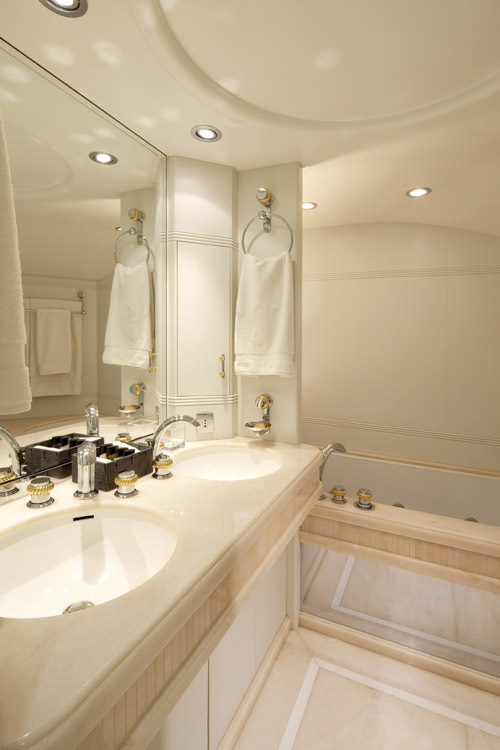 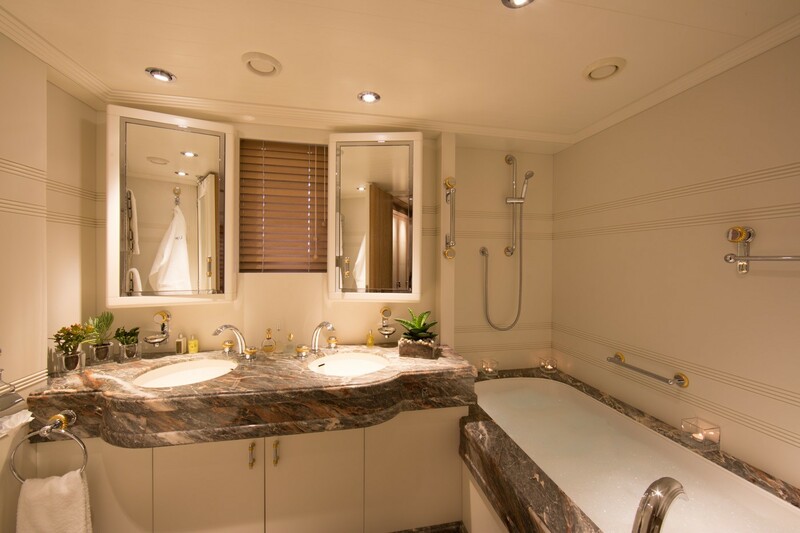 There are two double cabins on lower deck with ensuite facilities with separate showers.